For more than 6,000 years The Forks has been a meeting place for Indigenous groups to gather and trade resources. Today it’s Winnipeg’s No. 1 tourist and culinary destination, and offers a sumptuous range of dining choices and an eclectic wine program overseen by renowned Sommelier Véronique Rivest. As part of this year-long partnership, Rivest has been commissioned to source quarterly selections that reflect the changing seasons and offers guests an elevated tasting experience. Each list includes a selection of 20 global wines that complement the area’s local flavours and culinary culture. 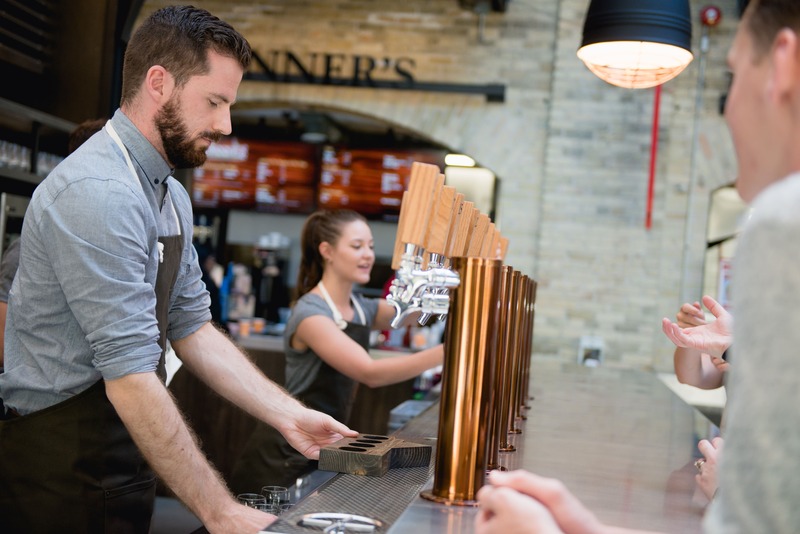 The selected wines are featured at The Common craft beer and wine kiosk, centrally located in The Forks Market. Working in wine for more than 30 years, Rivest has won multiple international awards. 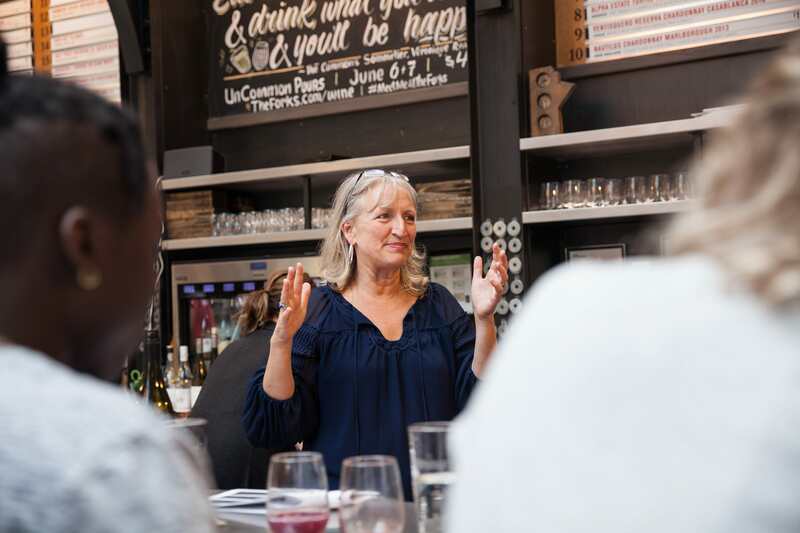 She was named Canada’s Best Sommelier in 2006 and 2012, earned the Wine Woman Award 2007 in Paris and Best Sommelier of the Americas in 2012. After taking second place at the World’s Best Sommelier competition in March 2013, she became the first woman to ever make the podium in this competition. She placed in the Top Twelve in the same competition in 2007 and in 2010. The Forks’ current list features a robust selection of international selections along with some select Canadian wines including a sparkling Riesling from Tawse Winery (Niagara Peninsula) and Pinot Noirs from Orofino (Similkameen Valley) and Pearl Morissette (Niagara Peninsula). 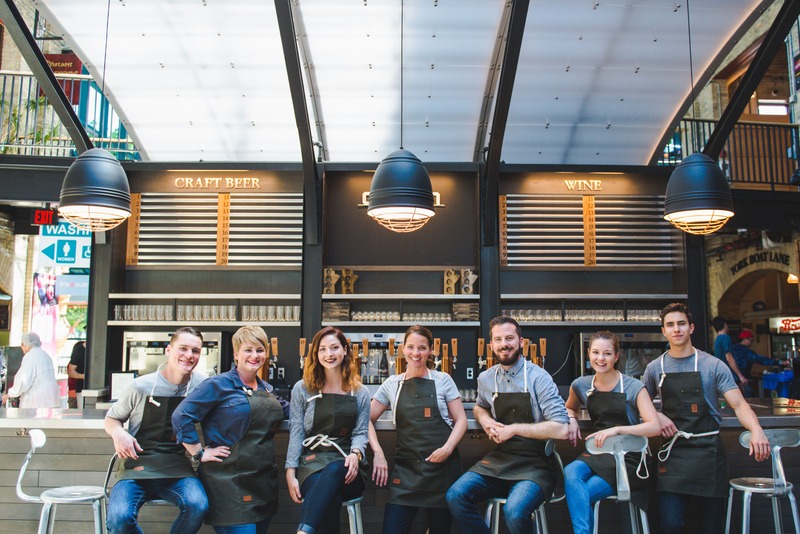 Aside from being interesting and enjoyable beverages that suit the season, Rivest’s choices are selected with the various culinary vendors operating at The Forks. For example, the Elsa Bianchi 2017 Malbec from Mendoza was selected with the Argentinian flavours found at Empanadas and Company by Simon’s Cuisine in mind. A food-friendly Chenin Blanc from South Africa, the 2016 Waterkloof 2016 Seriously Cool Chenin Blanc, comes highly recommended for sweater weather sipping. The juiciness and freshness of the wine also pairs well with creamy dishes and pastas like the Ricotta Gnocchi with Black Boar Bacon and Parmesan from Passero. Rivest also selects the craft beer list at The Forks, which is constantly changing. Five taps are dedicated to local breweries in Manitoba. Current offerings include: Churchill Brewing Company Blonde Lager (Saskatchewan), Stone Angel Brewing Co. Kaiser Bill IPA (Winnipeg) and Lonetree Cranberry Apple Cider (B.C.). The Forks Market is found in the heart of Winnipeg, where the Red River and the Assiniboine River meet, an area that boasts beautiful green spaces and a rich cultural history. 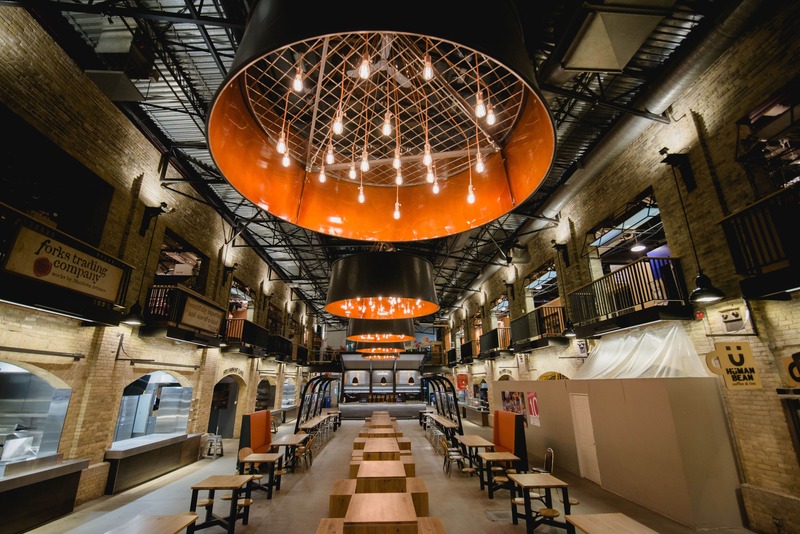 Boasting more than four million visitors annually, The Forks in Winnipeg is a draw for the local community and is attracting attention as a culinary destination. Many of the restaurants have stellar views of the rivers and some of the city’s best patios, making The Forks the spot for discerning Winnipeggers and visitors alike. Myriad winter activities, including the skating trails and other outdoor events attract upwards of 600,000 visitors in January and February, make it an ideal all-season venue.